Everex launched CloudBook, colored coming soon? Notebooks Comments Off on Everex launched CloudBook, colored coming soon? CloudBook (Everex’s first ultraportable) is set to go on sale on February 15 at Walmart.com for price $399. Future revisions are allready known. 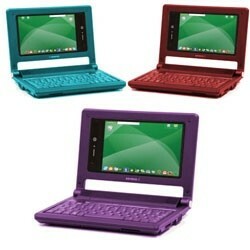 Notable features: Solid State Drives, Touch Screen, Feminine Colors, Larger Screens. Everex is considering making a future iteration of the CloudBook with a solid state drive, and they are considering feminine colors because we are tierd of black and silver (are we truly?). A month or two after CloudBook hit stores, Everex plans on releasing a touch screen version of the CloudBook to developers. They plan to add different screen sizes and increasing battery life. So we can`t wait for colored CloudBook, can we? 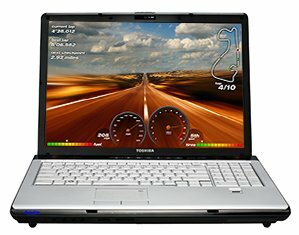 Today, Toshiba launched two new Penryn-based configurations for the X205 gaming and U305 thin-and-light notebooks. 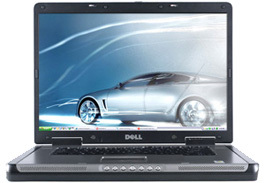 -HD DVD drive supporting 720p playback on the notebook’s 17-inch widescreen, -a built-in HDMI port at 1080i for watching HD DVD movies in full HD on an external HDTV. 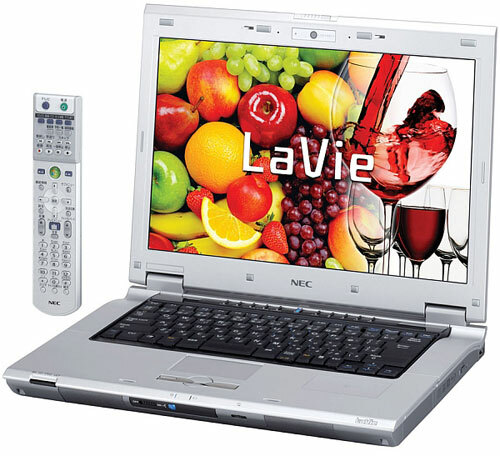 The Satellite U305-S2816 offers:- 2GB of RAM, -a 250GB hard disk drive, -a weight of 4.6 pound, -a 13.3-inch widescreen TruBrite display, -it sports 802.11a/g/n Wi-Fi connectivity, Bluetooth 2.0 and an embedded web camera. For starting price of $1350. The HP’s revamped Pavilion HDX is available right now at HP’s website. New HDX has some updated parts, but exactly the same name as the 2007 version of the HDX, itself released just this past July. It features a large widescreen display that could be well-suited as a desktop replacement rather than a traveling companion. 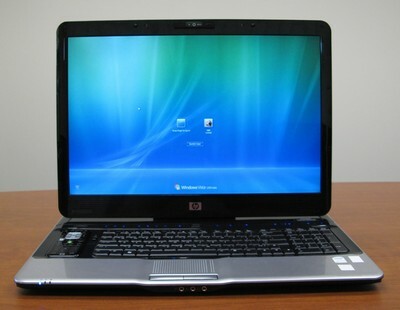 HP’s “recommended configuration” is going to cost you $3,645.97. Eno Setiawan touches our imagination with the conceptual design of new notebooks, which few years in the future could be reality. 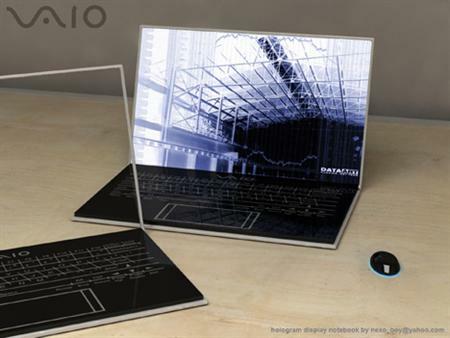 The keyboard and touchpad are tactile type and illumination, staying extinguished when the equipment is closed and the monitor, that at first sight seems to be a thin glass layer, are in fact are holograms on a transparent crystal. There is no other reference of these new portables, like type of processors, life of the batteries, but apparently this technology is not as far as we thought. 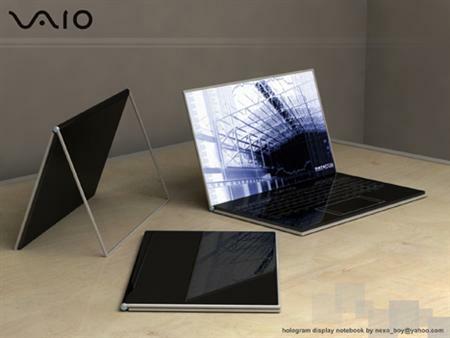 Dell has revealed a new model of portable PC of medium large dimensions. 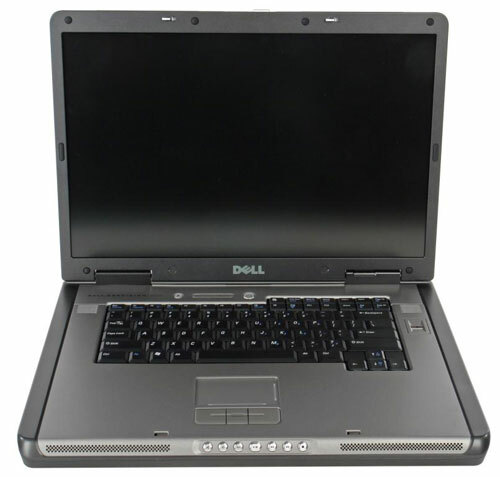 With processor 64-bit Intel the 2 Cores Pair X7900 2.8GHz and graphical card NVIDIA Picture FX1600M OpenGL, the screen of Dell Precision M6300 is from 17” to resolution WXGA+ (1440 x 900 pixel) or WUXGA (1920 x 1200 pixel). There is the possibility to mount the Wi-Fi 802.11n and Hsdpa, present the Bluetooth 2.0+EDR. U can mount 4 GB of RAM and 200 GB HDD, with the option to mount the memories of new generation from 32GB SSD of SanDisk. They complete the picture they add a DVD, DVD-RW or Blue and they arranged so you can choose between Windows XP, Windows Vista or RedHat Linux. The LC950/KG comes with a built-in Web camera that uses a face recognition feature called ‘Face Pass’. Other characteristics of the LC950/KG are 5.4-inch LCD Screen which has WXGA+ resolution. Its powered with Intel Core 2 Duo T7500 at 2.2 GHz processor, 1GB RAM and 160GB hard disk and ATI Radeon Xpress 1250 to handle the graphicacceleration. This model will be on sale in Japan in the middle of September by a price of 2668 dollars.